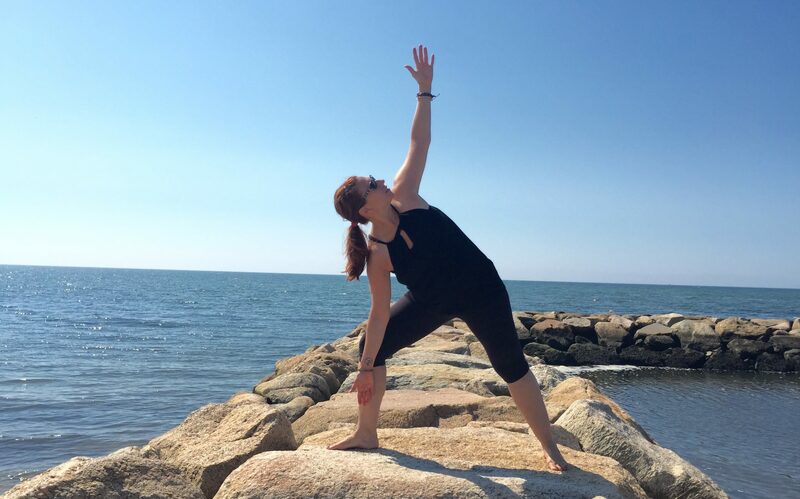 Today we’d like to introduce you to Kimberly Bruno. 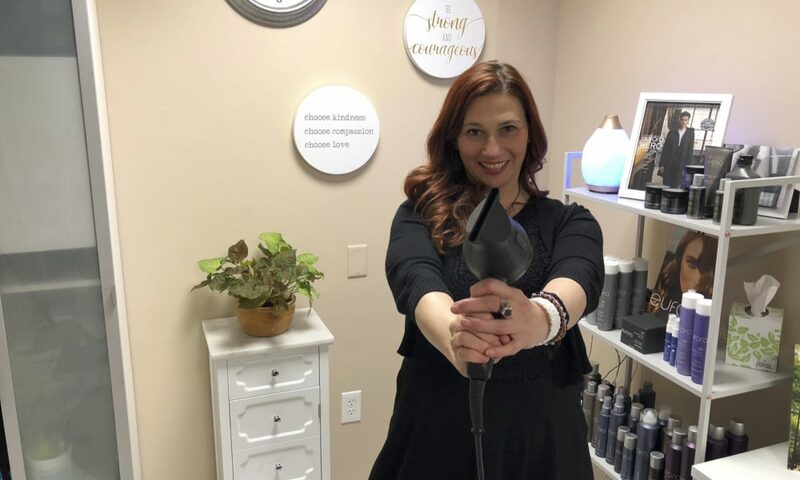 I am passionate about creating beauty without compromising the environment, the health of my clients as well as my own health. I believe in work life balance. If I am not 100% how can I then help others? My other passions include spending time with my dog, my family and friends who have become family. My yoga mat helps keep me grounded and I love the feeling after a good run. I love to travel and see new places, and meet new people. I may be in the hair business, but it is the people and the relationships I treasure the most. There are always struggles, some greater than others. Finances can get a bit dicey from time to time. But in the long run the balance sheets always seem to work out. Alright – so let’s talk business. 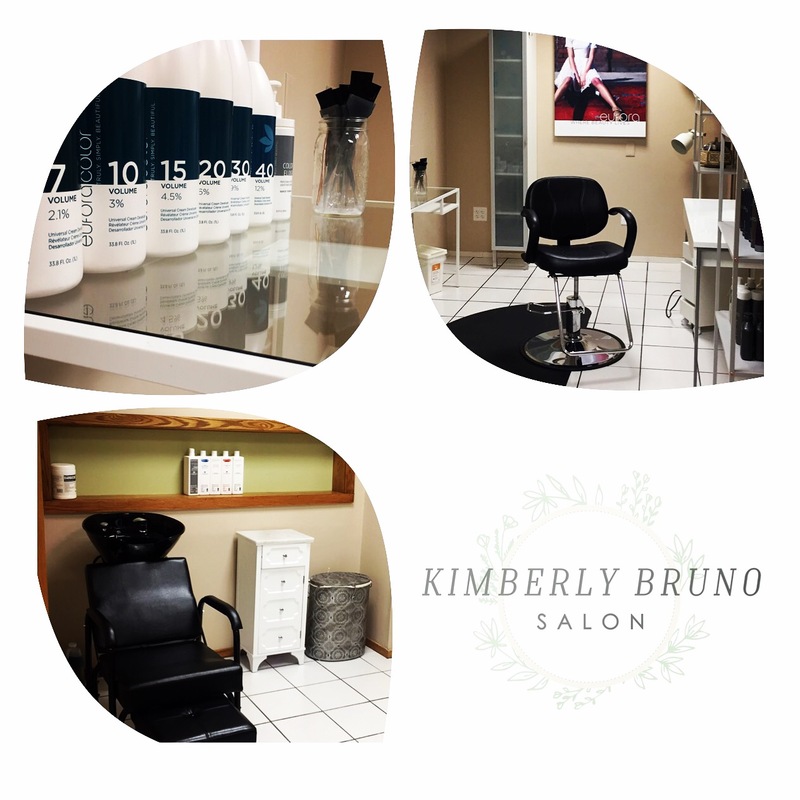 Tell us about Kimberly Bruno Salon – what should we know? 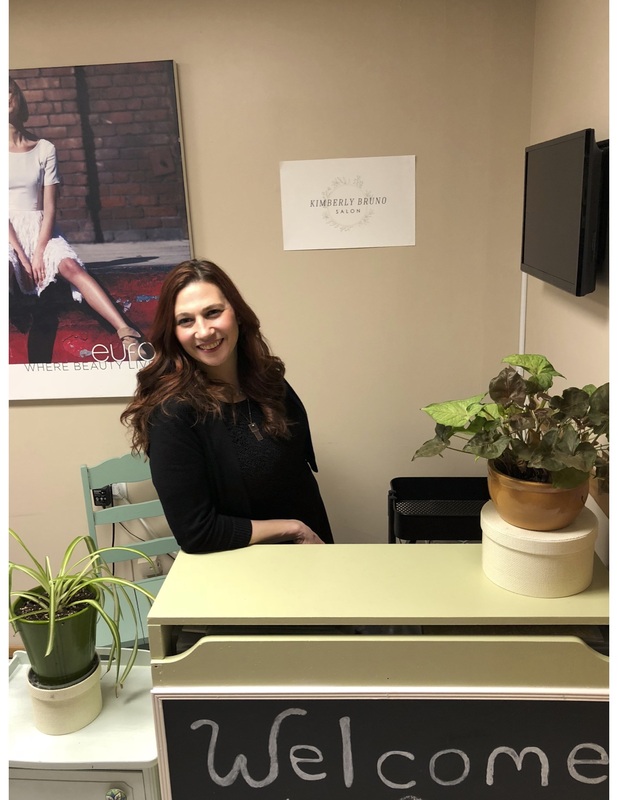 As a color expert I have been an educator for many of the industries leading hair color companies. Teaching is my way of giving back to an industry which has given so much to me. I would happily color the world beautiful all day, but eventually those lovely locks need a trim too! I have trained internationally in both aspects of hair coloring and hair cutting/styling. I have received the more than occasional compliment at the shampoo bowl. 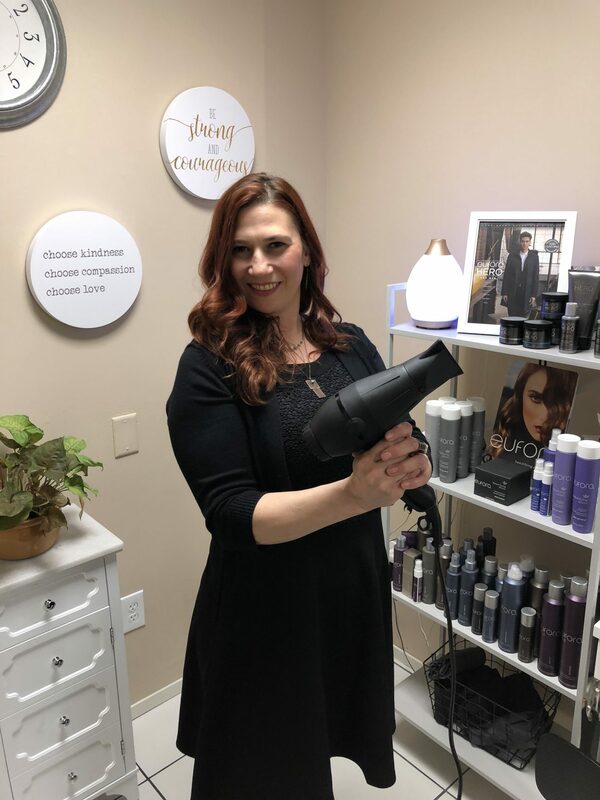 I feel a great hair service starts with a memorable relaxing shampoo. 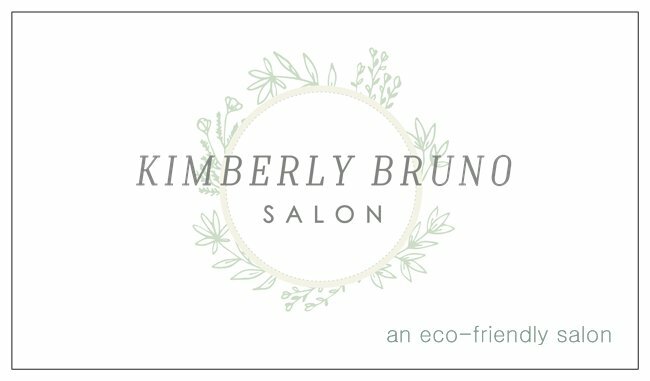 I am proud to announce Kimberly Bruno Salon is a Certified Green Circle Salon. This comprehensive recycling and sustainability program is the beauty industry’s movement for a positive green change. This means that 85-95% of our salon waste is recycled and/or repurposed, and kept out of our landfills and water ways. As an animal lover I do not promote or use any products that have any history of testing on animals. I have carefully selected professional beauty products containing organic ingredients absolutely cruelty free. All services are provided using quality products containing certified organic ingredients. My philosophy of working with sustainable & cruelty free products will result in a more beautiful tomorrow. I hope to inspire and teach my clients the importance of knowing what ingredients are in their beauty products. Changes today can help us all live a healthier future. 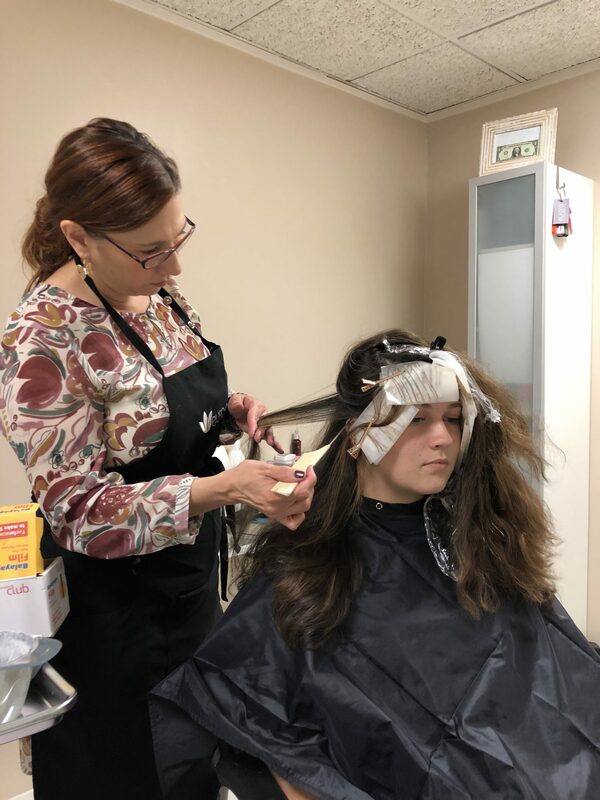 As a hairdresser it is very important for me to listen to the needs and desires of my clients. Conducting a thorough consultation with each and every guest allows us both to be on the same page. This is where communication skills are very important. I try not to give my guest unrealistic expectations and I am honest with them if I think their desired look is not best for them. I want my guests to be comfortable during their visit with everything they experience while they are under my care. I hope to inspire my guest to make simple green choices in their day to day activities, or inspire them to simply become a better person. I enjoy doing fundraisers, usually cut a thons, to help out various charities. I believe in doing good, and good comes back to you.